My number one goal as a kindergarten teacher is to have each child develop a love of reading and self confidence. In my classroom we have shared reading, read aloud, reader's workshop, and guided reading. That's a lot of time spent reading! Here are some things you can do to promote reading in your classroom. I use the word helpers created by Cara Carroll from The First Grade Parade. My class met Fly Eye on Friday. Fly Eye reminds them to look at the picture clues to decode tricky words. We practiced this strategy using an emergent reader written by Deanna Jump. Here are some of the things I use to get my students excited about reading. When I'm wearing my princess crown no one can come up and ask me questions. It works wonders and my small group time is uninterrupted. 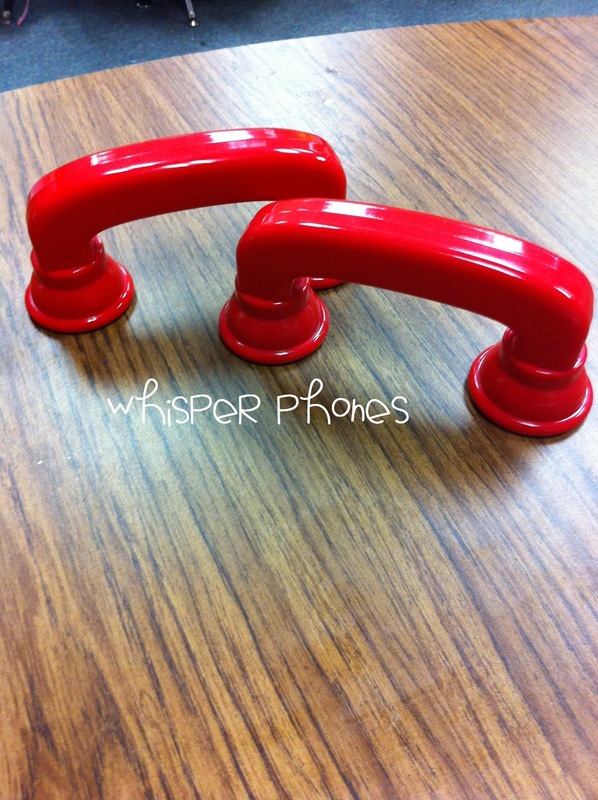 Each child gets a whisper phone to whisper read to themselves. 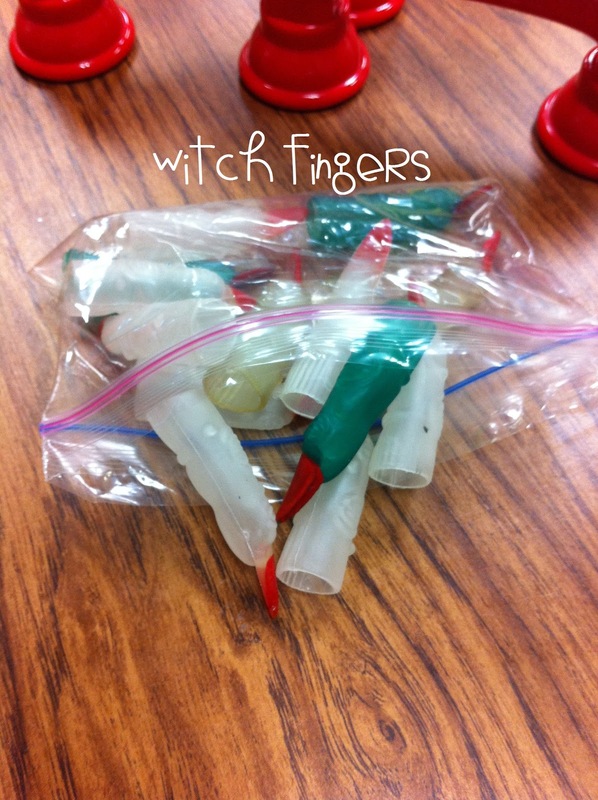 They each get to wear a witch finger to help them track the words they read. 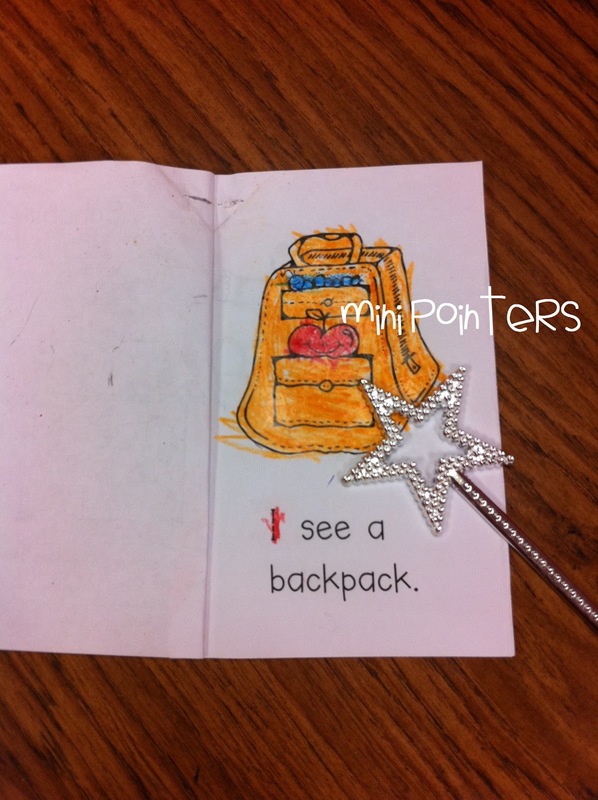 Mini pointers also help kids track words. How do you promote reading? Scroll below for more ideas. Love the ideas!!! I just saw those wands at Family Dollar this weekend! Never thought to use them as pointers! Love the crown idea too! I use the 3 B's rule. Don't interrupt me unless you are Barfing, Bleeding, or need the Bathroom. The crown would give them a visual to remember too! 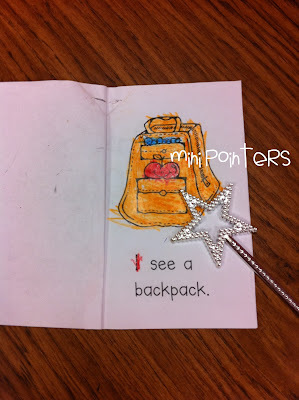 My Kinders have their own book bags with their books from Reading Group to go back and reread. I use the witch fingers to help them with tracking too - love them! 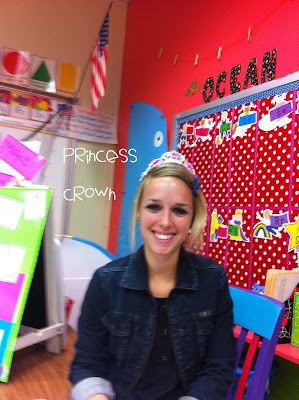 I also wear a princess crown while I work with small groups - it sparkels (my fave!) and it is a clear signal to my Kinders that I am working and am not to be interrupted. I love the idea of wearing the crown! Such an excellent visual for the students and they probably see it as a fun reminder of "Oh, I can't ask that right now!" Love it! JUST LOVE YOUR CUUUUTE HELPING MATERIALS!I'M SURE IT DOES WONDERS WITH YOUR KIDS!WISH I COULD MAKE USE OF THIS SOON ! The princess crown idea is fun! I like your ideas! I love all these ideas but I feel like it would be too elementary for my 3rd graders. =( Fun stuff though! I love the crown idea! I teach 4th grade, so maybe I would do a visor or baseball cap, but it would still probably be very effective. Thanks for the idea! Great blog! I miss teaching 1st grade! I'm teaching 4th grade and just started a blog a couple of months ago. I'd love for you to come visit! I just came across your wonderful ideas on Pinterest. Thanks so much for sharing. I work with student teachers and will be sharing your ideas - how creative! You really understand children's natural ways of learning! Hilarious! I tell the kids I am the Queen and they are the princesses and princes. I need a crown! Hi, Jessica! I am addicted to pinterest and when I saw this pin I thought, That looks like Walter's wife! So I clicked it and it was! Lol. Hope y'all are well. -Bethany P.
I don't get why one would use a princess crown, (only royalty is entitled to work without being interrupted? ), but I could see using something like a scholar's cap or magician's top hat to act as a visual reminder. My suggestion is directed at encouraging boys who don't think that reading is a "manly" pursuit. Try to enlist as many men as you can to come in and read aloud to the class. Ask every man you know who might be able to spare an hour sometime during the school year to sign up for the task. Put out the call in the school's newsletter. Dads, granddads, men who work in the school and men who have careers that little boys aspire to, like firemen, policemen and rock musicians, are all potential reading role models.